Fun, Fast, Informative... and has you back to work by 9! 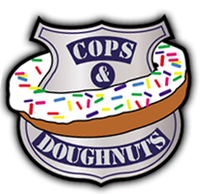 Join us at Cops and Doughnuts for a fun, safe, and delicious May Business Over Breakfast! Take this opportunity to network with your fellow members over a delicious breakfast at Cops and Doughnuts off S. Mission while enjoying a fun and entertaining program! You can expect to hear about community events during our Speedy Seconds, learn about New Chamber Members and applaud outstanding individuals who are Movin' On Up! Plus, there are always fun prizes to be won! So join us for a delicious breakfast, some fun and lots of community info! Don't forget to bring business cards to network and enter a drawing for prizes, including a $25 gas card from the Chamber!